(Long Beach, California) -- The June 9 - 11, 2016 Long Beach Coin, Currency, Stamp & Sports Collectible Expo (www.LongBeachExpo.com) will offer collectors and dealers a number of free numismatic promotions. Among the promotional items are free PCGS 30th anniversary promotional medals and free PCGS-graded coins for Young Numismatists who participate in the Kids Treasure Hunt. "Visitors to the Long Beach Expo will have the opportunity to walk away with fantastic numismatic treasures. We are giving away three gold coins, commemorative medals and other graded coins as part of the show's festivities. Plus, more than 500 collectibles dealers will be buying and selling rare coins, gold, silver, paper money, stamps, sports memorabilia, estate jewelry and other collectibles," said Long Beach Expo President Cassi East. The official auctioneer of the Long Beach Expo, Heritage Auctions (www.HA.com), will conduct a Signature Auction of United States rare coins. 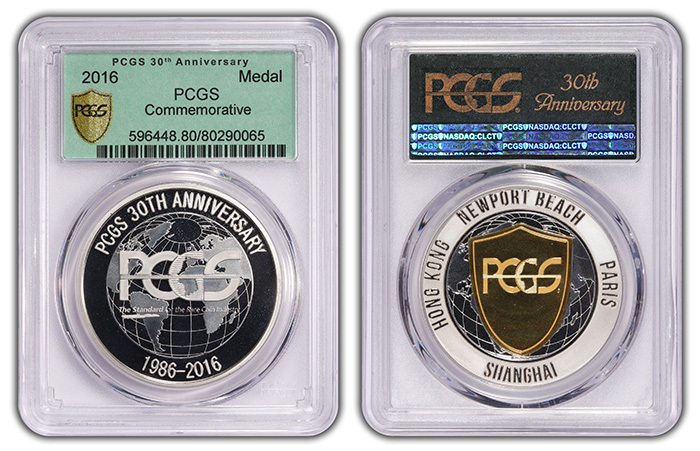 PCGS is offering attendees to the June 9-11 Long Beach Expo the opportunity to secure a free PCGS 30th anniversary medal. PCGS, the official grading company of the Long Beach Expo, is offering two different free promotional items to show visitors. Collectors and dealers who submit coins for grading during the show will receive a free PCGS 30th anniversary baseball cap. Those who submit 25 or more coins during the show will receive a free PCGS 30th anniversary commemorative medal presented in a PCGS holder with a special 30th anniversary retro "Old Green Holder" label. 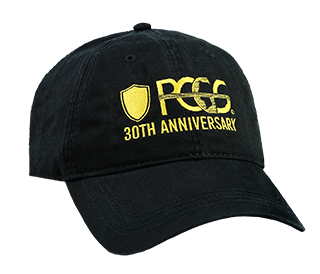 Submit coins to PCGS for grading during the show and receive this 30th Anniversary baseball cap. "This is the first opportunity for U.S. collectors to secure our new PCGS 30th anniversary medal, and we think they will be a big hit. We first debuted the 40MM medals at this spring's Hong Kong International Coin Show, and show attendees raved about them," stated PCGS President Don Willis. All visitors can have their coins personally examined by PCGS Co-Founder and Collectors Universe President David Hall during Meet the Expert sessions at the Professional Coin Grading Service booth (#807), which takes place from 1:00 pm to 2:00 pm on Thursday and Friday, June 9 and 10, and from 11:00 am to Noon on Saturday, June 11. The Long Beach Expo is also offering a complete day of youth activities on Saturday, June 9. The day begins with free youth coin and card grading seminars, hosted by leading collecting experts. After a free pizza lunch, youngsters can get two free PCGS-graded coins for completing the Kids Treasure hunt. "We are taking a kids-first approach to Saturday, and we think the lineup of free activities are a great way for parents to introduce their children to the fun of collecting," stated East. 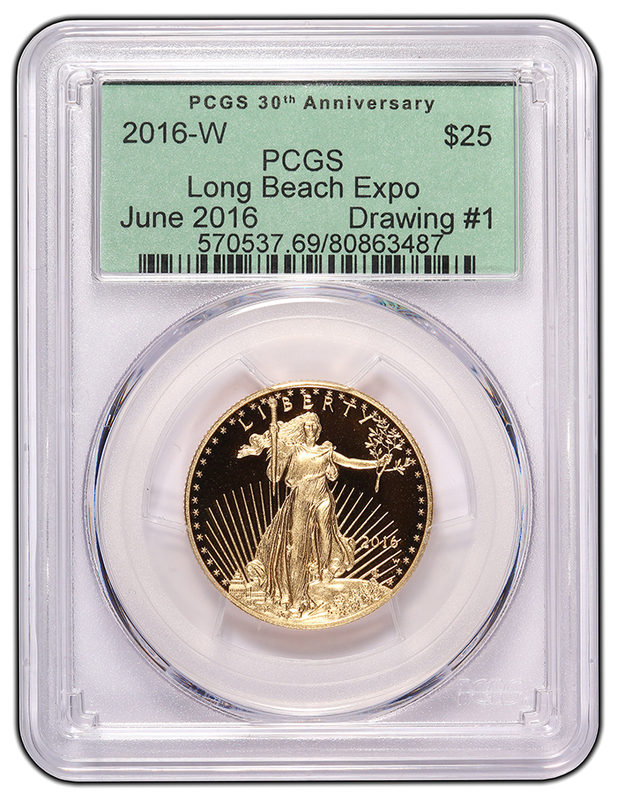 Attendees to the June 9-11 Long Beach Expo will have the opportunity to win one of three 1/2 ounce 2016-W American Gold Eagle coins. Club meetings and educational programs during the June Long Beach Expo include: Ancient Coin Club of Los Angeles, Christian Coin Dealers, Early American Coppers, Liberty Seated Collectors Club, Long Beach Coin Club, Long Beach Stamp Club, National Silver Dollar Roundtable and Philippine Collectors Forum. PCGS experts will conduct coin grading classes on Saturday; however, advance registration is required to attend (www.PCGS.com/store). Show hours are Thursday and Friday, June 9 and 10, from 10 am to 7 pm, and Saturday, June 11, from 10 am to 5 pm. Admission is $8 for adults, $4 for seniors and children aged 8 to 16; however, free admission coupons are available in advance online. "Simply go to our website, www.LongBeachExpo.com, click 'Get Passes,' and enter the special Promo Code, EXPOPR. Then print out the free admission coupon and present it at the show's registration desk," said East. For additional information, including the schedule of events and a list of attending dealers, visit online at www.LongBeachExpo.com, call the Long Beach Expo at (888) 743-9316 or email at [email protected].